Alright! Another Flipside U comic Wednesday! 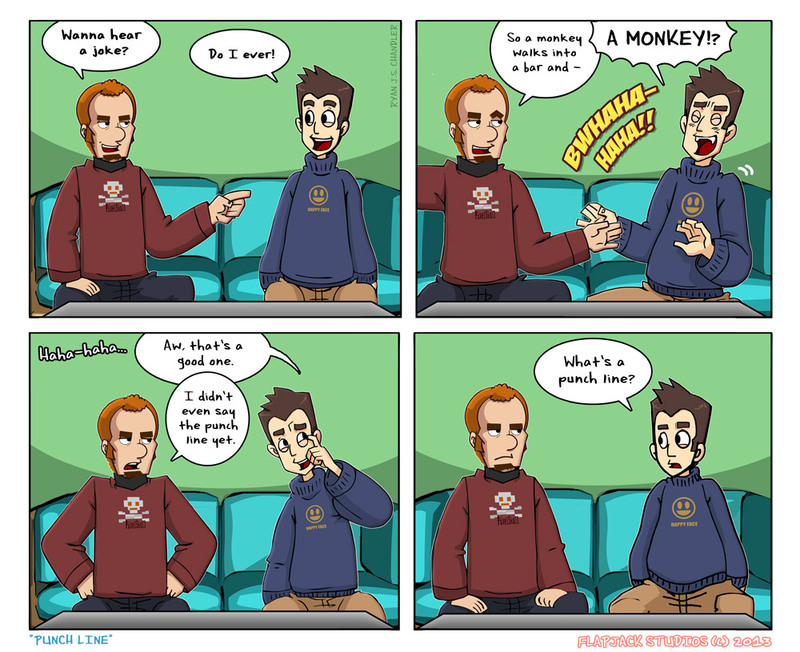 I hope you like monkeys and jokes, because this one's got it all! The latest comic's called "Punch Line!" It's a part one of five but you won't need to worry about sequence with them, they're just connected. Don't get it? You'll see soon enough. So go give it a read and share it with your pals and your peeps. It's right above this blog post, you can't miss it! And hey, points for doing a non Halloween themed gag, huh? Haha, or is that negative points? Oh well. Love yas!